Hopefully, Dawn can keep her fists to herself this time. Reunited Danity Kane are hitting the road again. 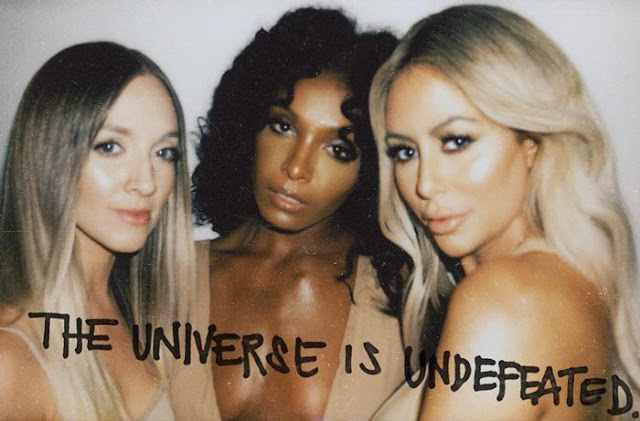 Dawn Richard, Aubrey O’Day, and Shannon Bex will embark on 'The Universe Is Undefeated' tour in September. The Stateside 16-date trek marks the first time in four years that the trio has performed together. The last time they got together in the studio resulted in Dawn punching Aubrey. It's so nice they can put the past behind them, and serve up something special for the fans. Tickets for 'The Universe Is Undefeated' tour are on sale now in select cities.